If you wanted to know what one of the best Ironman athletes in the world looks like close up on the bike, look no further! 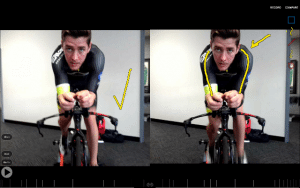 Nick Baldwin is a professional triathlete from Seychelles who is currently in Perth, and this week he came in to Star Physio for a review of his bike position with Damian Oldmeadow and Kate Luckin. Nick has spent many hours in the windtunnel perfecting his aero position, and has spent years training to be able to hold the extreme front end aero position that you can see from this front view with his shoulders fully rounded to minimise his frontal area… Kids, don’t try this one at home!!! 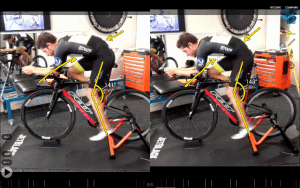 Unfortunately Nick is experiencing some lower back and hip pain, so he sought out the expertise of Star Physio’s Bikefit Team to review this. 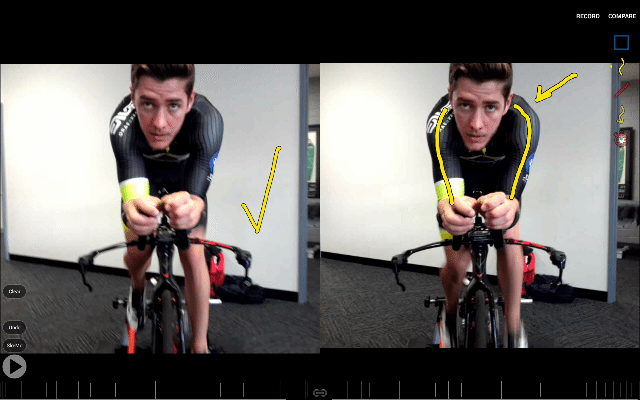 Some subtle hip stiffness was identified, and we are going to trial a few small changes in the cleats and the saddle to open up his hip joint, being very aware that this is a guy who just did the second fastest ride at Ironman Australia, and is also about to race Ironman Brazil in just 10 days! Star Physio is really excited to be working with Nick, and he has already caught up with James Debenham to discuss some running and programming issues, and on his return to Perth will do further work with the Bikefit Team as well as begin work with Dr Merv Travers on his strength regimen. Watch this space! To follow Nick’s progress, check out his website and blog at http://www.nick-baldwin.com/. Nick is also going to be providing some exclusive updates and insights via the Star Physio website and social media in the future. Good luck in Brazil Nick!